If you are looking for a stroller you can use practically everywhere, from the zoo to the beach, then look no further – Bob Revolution Flex is the perfect choice for you. This innovative stroller can easily zip through congested areas and around tight corners with the revolutionary swiveling front wheel or lock it in place for increased stability jogging or when the terrain turns tough. It is also easy to fold yet very comfortable. Bob revolution Flex is available in a Duallie two seat model as well. There is a reason why the Bugaboo Camelenon3 is such a beloved stroller among parents. It is not only beautiful to look at but also very practical. The 2017 model includes a faux leather handlebar and carryhandle which make the stroller look even more luxurious. It also includes a reversible seat, bassinet, 3 position recline, adjustable handlebar, and awesome suspension in the wheels. Another plus is the very comfortable fold. How about a budget stroller that has it all? This awesome jogging stroller is so safe and so easy to maneuver! It switches from running to resting in no time. It also features a multi-position, reclining padded seat and fully adjustable 5-point safety harness and tether strap. So yes, as we said this is definitely the best value jogging stroller to consider buying in 2017. Looking for the ultimate family stroller? We warmly recommend the updated Britax Ready! The 2017 model features a modern look and is adaptable to virtually any possible parenting scenario. You will love the quick one-step folding as well as 12 different sitting options. You can choose between the one and two seat options. This is a great travel system with a very friendly price. You get both a stroller and a car seat. It is light yet extra mobile. 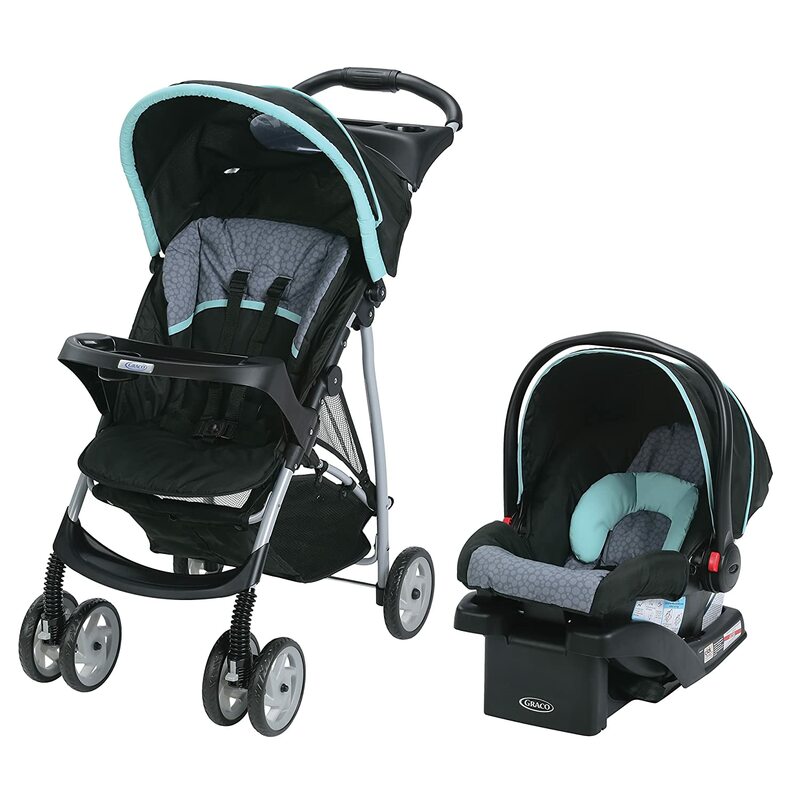 This stroller includes the LiteRider Click Connect Stroller and the top-rated SnugRide Click Connect infant car seat for a baby from 4-22 lbs., which connects to the stroller with a secure, one-second attachment. Lets not forget the one hand fold, the lightweight design and the comfortable seat. Want a small stroller that can easily fit everywhere? The city tour is the best choice for you. Super small yet it has a really smooth push and decent size understorage basket for a stroller of that size. As expected, this stroller is super light as well. It will be available in four different colors so you can choose your favorite. If you want a stroller that offers everything a parent can imagine then consider the Nuna Mixx 2017. This is a stroller that truly gives you everything. And by this we mean reversible seat, a true-flat recline that makes it newborn compatible, extra-large wheels with awesome suspension and the biggest underseat basket on the market. Not to forget the beautiful design. The Jett Collection is new for 2017 and includes a bassinet with the stroller! This full size stroller offers a grow with me system that includes a bassinet which is perfect for a newborn. You can add a rumble seat to make it a double stroller. It is a little wide, but the canopy on the vista is huge and offers great sun protection something that many other strollers lack. All of you stylish mamas will love this new stroller from Jane. The Muum has a stunning form yet is budget friendly so you can totally afford it. Created with responsibly sourced materials, the Muum folds down really compactly, is lightweight, and is really durable to push as well. It is suitable from birth and up to 50 lbs due to the full recline. The Bumbleride Speed is definitely going to be one of the hottest and most wanted running stroller in 2017. It has so many amazing features like the new Speed3 wheel technology that active parents will simply love! And look at that sleek design – you can take this stroller in the supermarket, in the park or even running down the track. It also features multiple pockets, adjustable handlebar, and one-step standing compact fold.